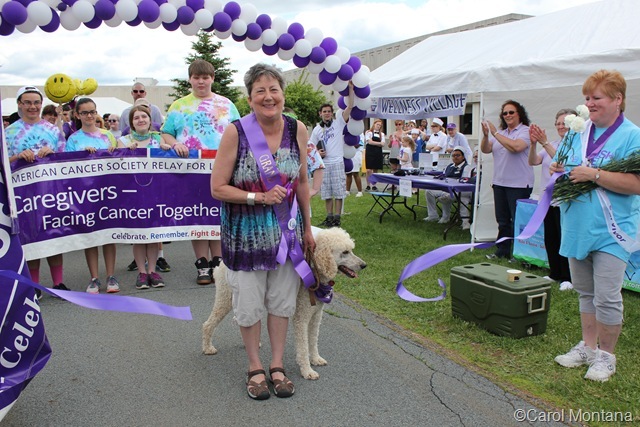 LOCH SHELDRAKE, NY (June 17, 2014) – They walked in groups and as a team, they walked alone, they walked with strollers, and they walked with dogs. 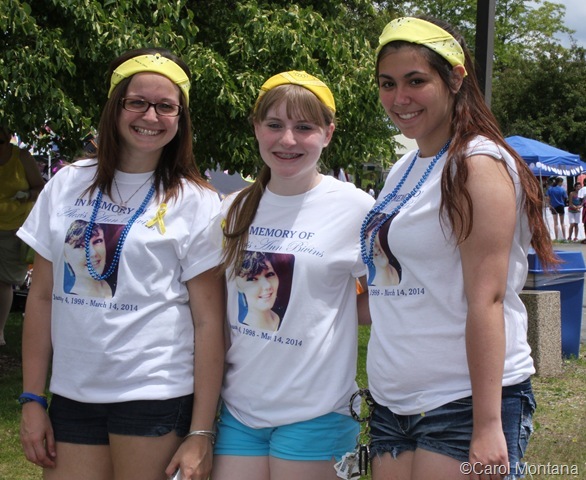 Over 30 teams were registered to walk at the 2014 Relay for Life held at SUNY Sullivan in Loch Sheldrake. 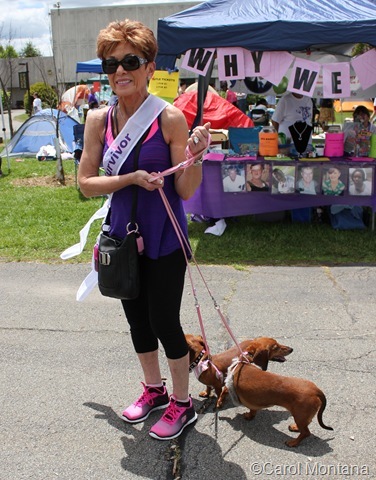 They were walking, as they have done so many times before, to raise funds to fight cancer. 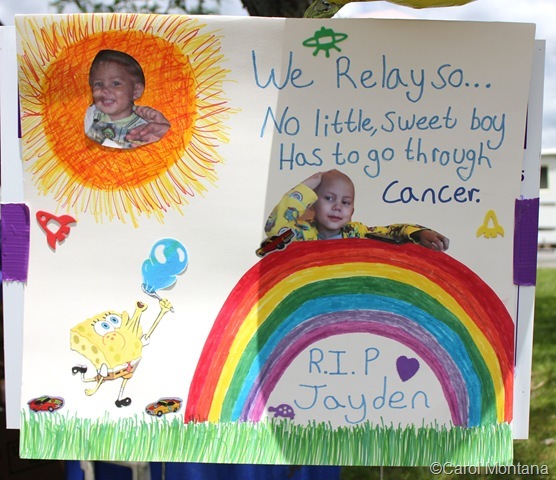 According to Gayle Clark-Irving, one of the organizers, the event raised over $55,000, with more to come in the months ahead. 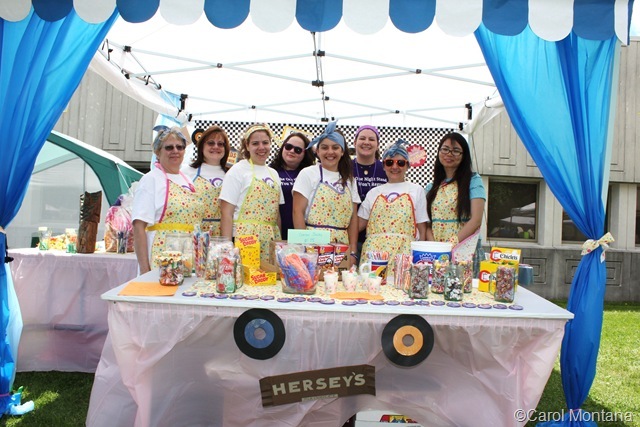 Sponsors for the Relay for Life were Crystal Run Healthcare, SUNY Sullivan, Thunder 102, Hurleyville Fire Department, Jeff Bank, New Hope Community and Rock Hill Pharmacy. 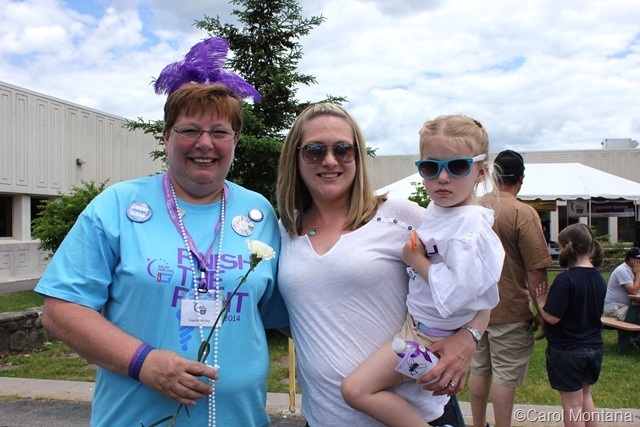 The color purple was everywhere – on T-shirts that said “Finish the Fight,” on the arch of balloons marking the Relay’s start, on signs, on lanyards, and on costumes of feather boas and hair decorations. There was a “survivor’s” lap, and a “caregiver’s” lap. There were lots of tears, but also lots of laughs and hugs and hope. 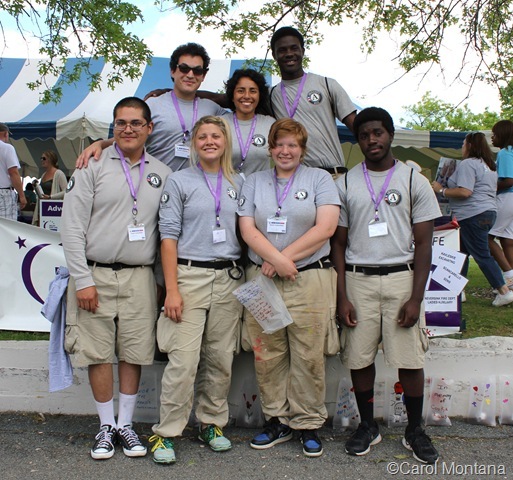 And there was even a group of helpers from AmeriCorps. The group is staying at Frost Valley YMCA, where they are working on trail maintenance. 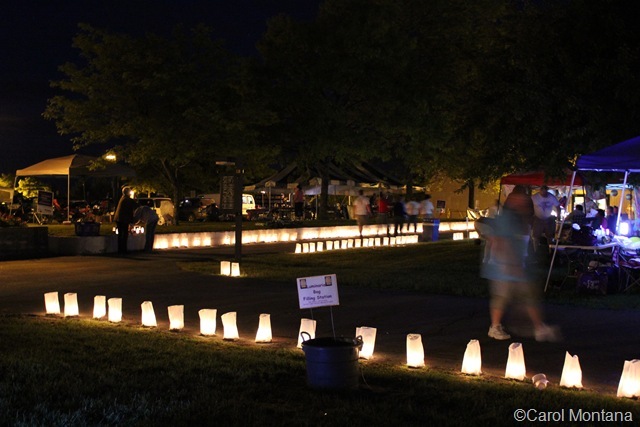 At night, hundreds of luminaria lighted the pathways. 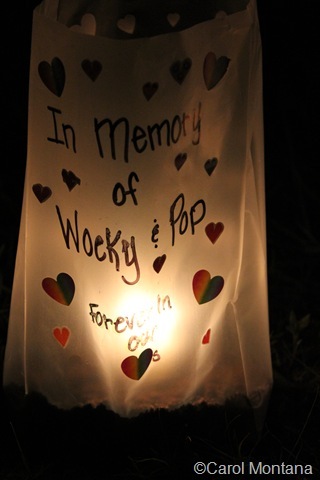 The lumimaria were decorated in honor of a loved one who was either battling cancer or in memory of a loved one who had lost the battle. Here are some photos from the day’s and evening’s activities. 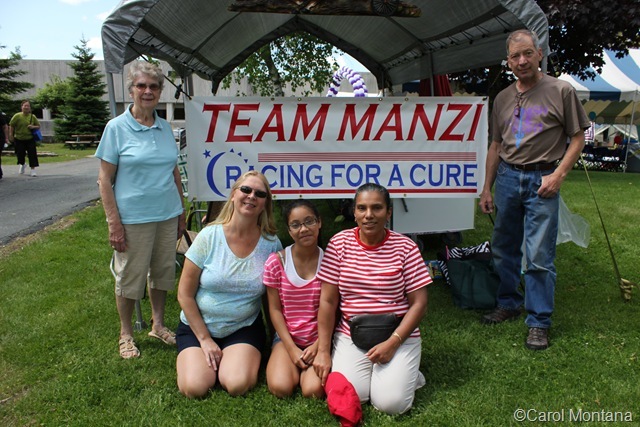 Click on the link below the photos for the entire album of photos, which can be viewed and/or purchased on the Chronicle’s Zenfolio page.